The X Factor winner ended up apologising for his language after he used the word "queer" in rap which drew criticism from figures such as Matt Lucas. Earlier this week he was also involved in a row with fellow X Factor contestant Lucy Spraggan after she posted text messages online which he had sent to her. James, who said recently that he had suicidal thoughts after winning the ITV competition, has now been told to rest by medics. A statement issued by representatives for the singer - whose next single is called Recovery - said: " Unfortunately James Arthur has been diagnosed with acute exhaustion and instructed to rest for several days by his doctor. "Regretfully, he has been forced to cancel all engagements during this period. James would like to apologise to his fans for any disappointment caused to them by these cancellations and he hopes to get back to full health as soon as possible." James has been involved in a number of rows with people via his Twitter account and just days ago stepped back from posting on the social media platform apart from a message which said: "Keep the witch hunt coming." 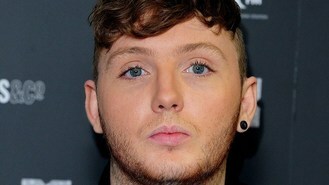 During last year's X Factor he had a health scare after suffering a panic attack. His homophobia row erupted after he was involved in a rap battle in which he traded insults with another performer Micky Worthless. Following criticism, James said he was "disappointed in myself for being so naive" and "deeply sorry to any gay or lesbian people out there".